Sapodilla is a fruit native to Mexico and Central America. Fruits are sweet with a flavor resembling pear and brown sugar. The tree is very slow growing making it a great choice for planting in containers. 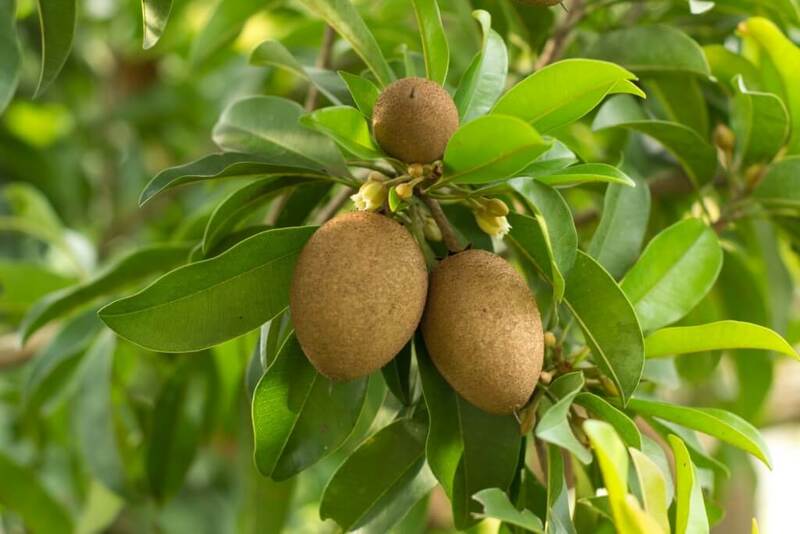 Sapodilla trees are wind and salt tolerant and do best in a a hot, sunny location. Cool winter temperatures limit fruit production which can take 5 + years. Sapodillas can bear twice a year and will tolerate winter temperatures of 26-28F. Moving the trees in a greenhouse in winter would be ideal for frost protection and consistent fruit production.